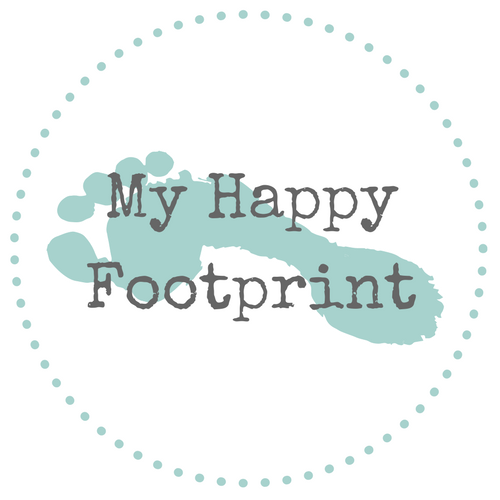 My Happy Footprint, registered at the Dutch Chamber of Commerce (56248067) respects the privacy of all customers and/or visitors of this website and makes sure that personal data remains confidential. To advertise on Facebook and Instagram I use data that you chose to share with Facebook and/or Instagram. These data enable me to show sponsored posts / ads to people who are most likely tob e interested in my products and/or services. This website is hosted at SiteGround. All data that you supply through this website is stored on the servers of SiteGround. SiteGround applies security matters to protect your data and does not have any authority to view or share your data, unless by law is required to do so. An accountant. My Happy Footprint is legally required to pay taxes on any income generated by this website and works with an accountant to provide all information necessary to the institutions responsible for collecting those taxes. A bank, to facilitate payment transactions between My Happy Footprint and companies and/or consumers that wish to purchase the products and/or services of My Happy Footprint. MailChimp to send newsletters. MailChimp applies security matters to protect your data and does not have any authority to view or share your data, unless by law is required to do so. Affiliate marketing programs. Affiliate marketing programs enable My Happy Footprint to generate income. If you signed up for a newsletter, My Happy Footprint will save your data until you decide to unsubscribe. Data that is collected to generate administrative documents will be stored as required by law. You have the right to view, correct and/or delete any data that you shared with My Happy Footprint. Send an e-mail to nathalie@myhappyfootprint.com if you wish to do so. If you no longer wish to receive the newsletter, you can unsubscribe through the link that is provided to you in each newsletter. In The Netherlands, the “Autoriteit Persoonsgegevens” (AP) is the institution that controls the privacy law. If you wish to file a complaint against the use of your personal data by My Happy Footprint, you can contact the AP here. My Happy Footprint is obligated to report any data leaks to the autoriteit persoonsgegevens. A data leak is a security incident, where unintentional access, destruction, change or release to personal data has taken place. In the case of such an incident, My Happy Footprint will contact all customers by e-mail. For questions or comments you can reach me at nathalie@myhappyfootprint.com. I try to answer all e-mails within 48 business hours.